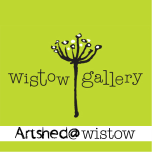 Create & make in the relaxing and inspirational environment of the gallery in Artshed. Please contact the artist/maker to book your place. Sarah will guide you through a relaxed and creative morning where you will produce your own textured artwork & collage. You'll experiment with paper collage and the process of reserve mono-printing, using paints & pencils to create finer detail. Boats will be the starting point and inspiration for your mixed media piece. Bring along photos or use ideas from Sarah's collection of source material. All materials provided. An experimental (maybe messy) session - full of texture & creativity. A fun workshop for all abilities. Nikki will take you through the stages of production and making with demonstrations, using either templates or your own idea to create your vintage case. These will then taken away to be fired and returned to the gallery within 3 weeks ready for collection. Beginners will learn how to cut class and assemble their pieces using a variety of materials. Beginners projects include coasters, hangings and small wave stands. Those with more experience, having the option to make more complex items such as plates, large wave or curve stands, tealight holders & soap dishes. Class fee covers tuition, tools & equipment, materials & firing. Students wanting to do very large projects will need to discuss with Sally in advance, as they may incur extra material costs. This workshop is perfect for beginners or experienced needlefelters. With step by step instructions Rosie will enable you to confidently create a beautifully sculpted standing Woodland Creature using pure wool. Either a badger, fox, mouse or hare. All materials and equipment supplied. With step by step instructions Rosie will enable you to confidently create a beautifully sculpted Honey Bear using pure wool. Come along and create your own flower collage using ripped and torn papers. Bring along some flowers pictures or photos as a starting point. Danielle will give guidelines and offer advice throughout the day. Explore the ancient art of basketmaking, creating beautiful and useful structures. We will use richly coloured willows and dogwoods gathered from the hedgerows and woods to make baskets, garden canes or bird sculptures. Using upcycled fabrics you will learn the art of rag rugging and create a textured cushion to take home at the end of the day. All tools and materials provided. No experience needed. Please feel free to bring along your own selection of fabrics to use. Learn the addictive art of free machine embroidery at this experimental workshop. Layer a wide selection of recycled fabric scraps, sari borders, yarns etc, adda top layer of shot organza and then free machine through these layers to create a colourful and stunning mini quilt piece. Feel free to bring your own sewing machine or share one of Linda's. Come along and explore the possibilities of paper through cutting and folding. Learn about other cutting paper traditions from around the world whilst fine tuning your skills. Using both scissors and scapels have a fun and relaxing dy being creative with paper. A great starter to get thos creative juice flowing and the first steps into the paper art world. All materilas and equipment provided. With guidance and advice from Kat, you will be using a wide variety of coloured glass to create a textured woven panel. It will be taken away and fused together where Kat can either leave as a panel or slump your piece to create a dish. Your finished piece will be ready for collection from the gallery within 2 weeks. Come and learn the art of 'painting' with wool to create your own felted landscape picture ready for framing. Step by Step instructions given. No experience needed. Lots of images and source material available or bring your own as a starting point. Please bring an old bath towel to work on and a plastic bag to carry your wet picture home. Spend a relaxing and absorbing afternoon creating a colourful and decorative bird themed mosaic panel for indoor or outdoor use. All materials provided. Kirsty will take home your pieces and grout them, then return to the gallery within a fortnight ready for collection. Are you looking to build your confidence in your drawing skills or learn a new technique? This mixed media workshop is relaxed and informative and will include all the materials you will need. Also included in the cost is a cellophane wrapped card mount for your final piece. All abilities welcome.